This custom Instigator #2 knife is direct from Jeff VanderMeulen. 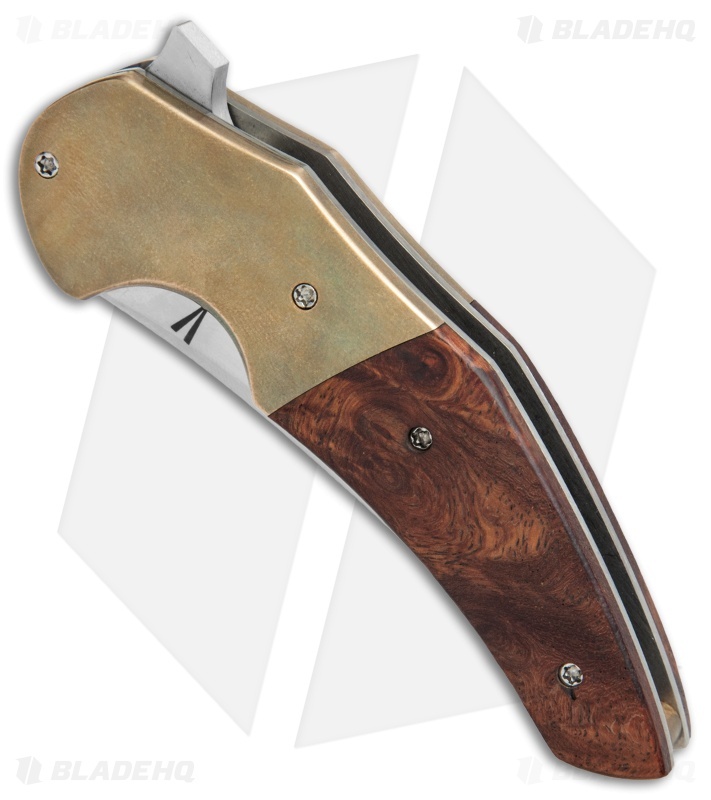 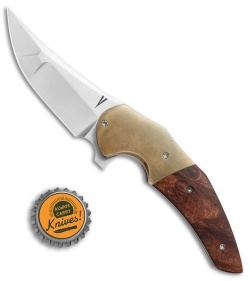 It has rosewood and brass scales over a titanium liner lock handle. The intimidating trail point blade is made from RWL-34 stainless steel in a satin finish. 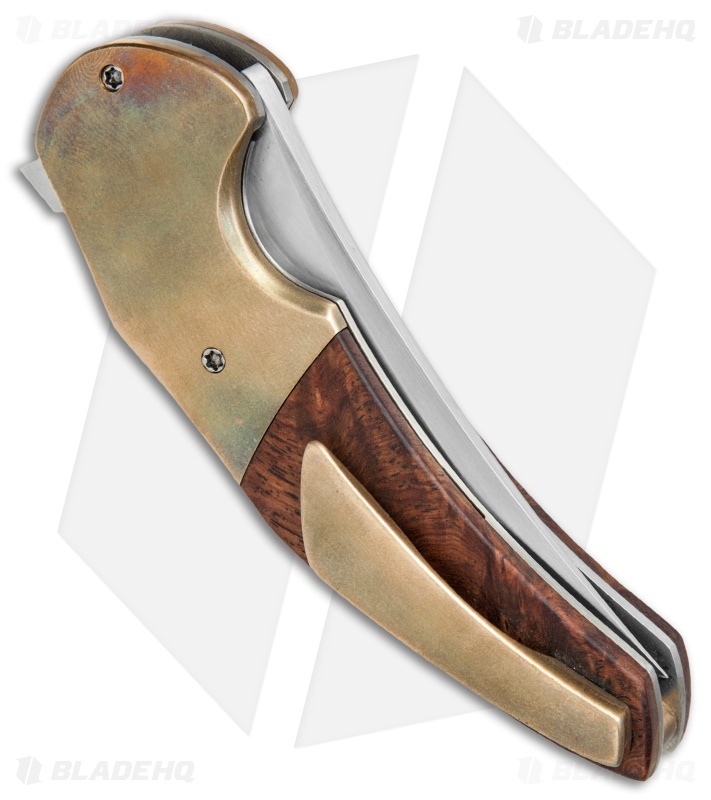 A wide brass pocket clip finishes off the stunning custom design.